Football officials have won support from a firm of chartered accountants as they kick off a scheme to upgrade facilities at the club. 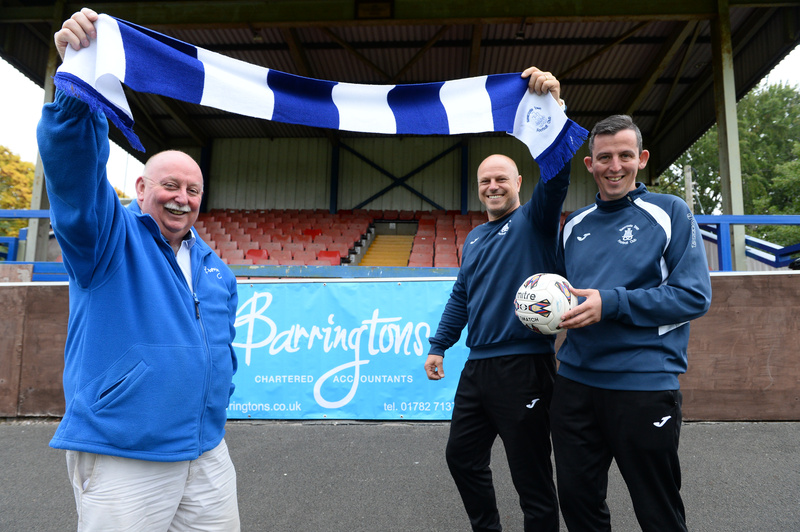 Newcastle Town FC is NOW backed by Barringtons Chartered Accountants for a fourth year as part of its commitment to football in the community. Manager Robin van der Laan, who formerly played for Port Vale and Derby County, said: “This year has seen big changes at Newcastle. There’s a new chairman, backroom staff and philosophy of developing talented youngsters from our local area. The club, founded as a Sunday League in 1964, is now semi-professional with 28 teams from the FIRST down to under 7’s. Barringtons, based in Newcastle, supports the club with its payroll and tax returns. Managing Director, Phil Wood, said: “Football bonds a community and we like to give back to the towns where we have offices and employ from the area. Barringtons, based in Newcastle-under-Lyme, also supports Nantwich Town FC and Market Drayton Town FC.